Big News!! Meetings Moving to Monday Dinners! Starting Monday, Sept 12th, the Wakefield Rotary Club weekly meetings are changing from Thursday lunchtime to Monday Evening Dinner Meetings! While the meetings will still be held in the same location, the new weekly meeting time will be from 5:30-7pm. 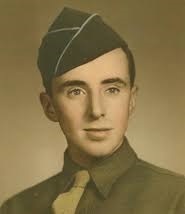 Special Guest speaker, WW2 veteran, Don McCarthy, 92, will be recounting his memories of coming ashore at Normandy on D-Day! 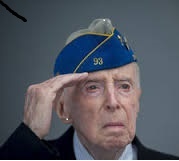 As a private first class in the 116th Infantry of the 29th Division, he was among the first to invade Omaha Beach, where the Allies took the most casualties. Invite a friend and arrive early as many guests are anticipated to be there for this historic club kickoff! If you are expecting to bring a guest, please inform Spencer so that we plan enough food for everyone. Other News: www.wakefieldrotary.com now points to our www.wakefieldrotary.org site.